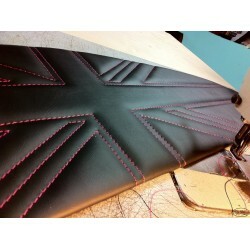 Retro Retrims classic mini parcelshelf with unionjack stitchwork. Magazine featured Retro Retrims A Pillar trims. 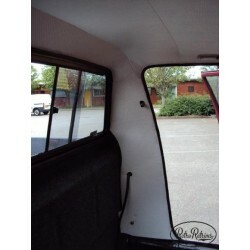 Brand new roof liner kit in Black or Cream Vinyl for a Volkswagen MK1 Golf. Magazine featured Retro Retrims B Pillar trims in vinyl. Plush Bentley quilted suede panels to fit a mk1 VW Caddy. 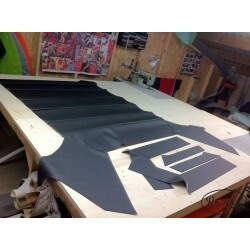 Brand new roof liner kit in Black, Cream, Grey or White Vinyl for a Volkswagen Caddy MK1. 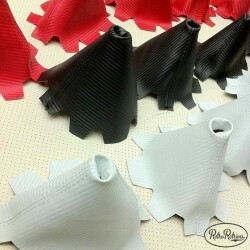 Retro Retrims Carbon Fibre Vinyl Gear Gaitor trim available in Black, Red or Pearl White, with matching stitch colour. 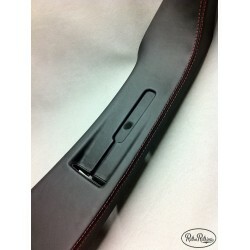 NEW product a pair of Volkswagen T5 dash cap trim now available, with French seam stitched detailing.